Are you looking for 20ft containers for sale in the UK? 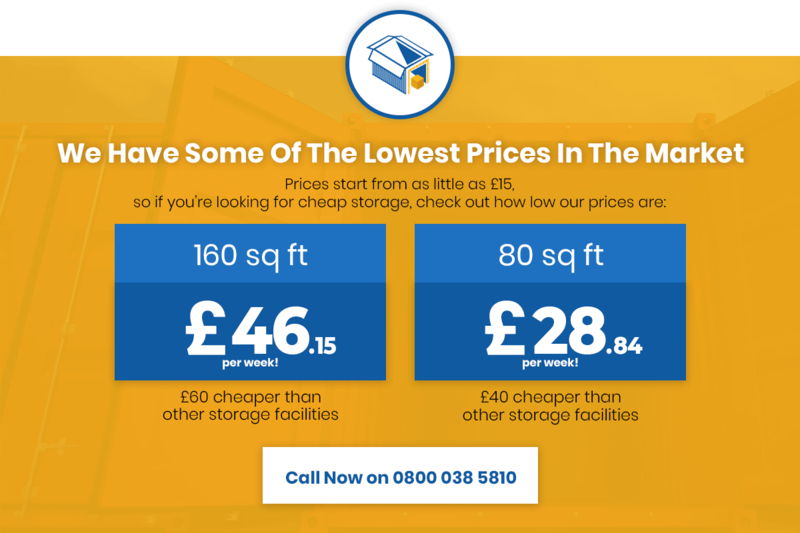 For more advanced storage needs, our 20ft containers for sale in the UK have you covered. These incredibly spacious 20ft containers for sale units are more than big enough to hold the contents of a larger house or business. Standard cars and other vehicles can also be stored in our 20ft containers – perfect for over-winter storage, or for looking after commercial/business vehicles while not in use. With 24/7 CCTV and the promise of outstanding storage conditions, peace of mind comes as part of the package! We also offer a wide range of outdoor vehicle storage packages at our secure site, with flexible terms and prices to suit all budgets. For more information or to discuss a quotation for hiring or purchasing a 20ft container for sale in the UK, get in touch with our customer service team today.